This leaflet has been produced to give you general information about your treatment following breast surgery with axillary involvement. 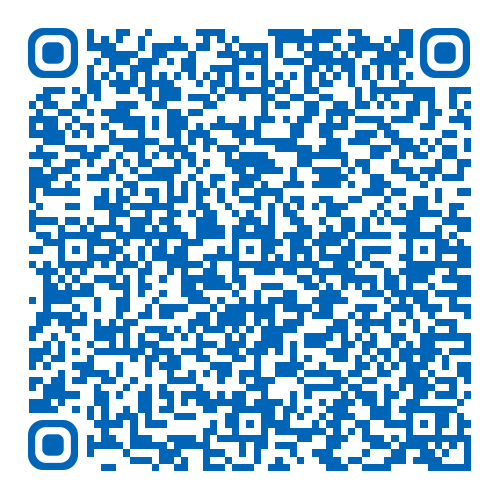 Most of your questions should be answered by this leaflet. It is not intended to replace the discussion between you and your doctor, but may act as a starting point for discussion. If after reading it you have any concerns or require further explanation, please discuss this with a member of the healthcare team caring for you. The exercises described in this leaflet are for anyone who has had breast surgery and/or radiotherapy. They have been approved by Breast Surgeons, Breast Care Nurses and chartered Physiotherapists. 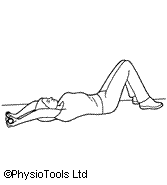 The exercises are designed for use in the days and weeks after your surgery, however it may be useful to practice them before your surgery so you know how to do them and what your range of movement is. 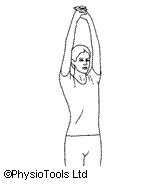 The exercises will help you regain the range of movement you had in your arm before your operation. Exercise may relieve pain as well as help the tissues heal as during exercise more oxygen is delivered to the area being moved. 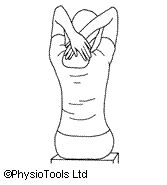 There is a small risk of muscle strain if you do not correctly follow the advice in the leaflet. It is normal to feel some muscle discomfort after exercising but this should improve after a couple of days. If it lasts any longer, then you should stop the exercises and consult your GP or Breast Care Nurse for advice. 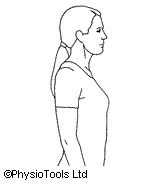 It is really important that you do not raise your arm above shoulder height for the first seven days following surgery. Avoid activities which involve heavy lifting, pushing, pulling or carrying – for example carrying bags of groceries, hanging out the washing or using the vacuum cleaner. You can gradually reintroduce these activities when you feel more comfortable. You should continue these exercises until you feel you have gained your full range of movement, i.e. 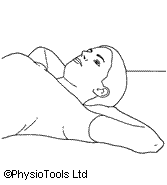 the range of movement that you had before your surgery. This should take about four to six weeks. 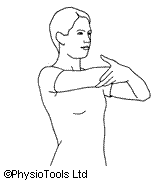 If you begin to develop stiffness in your arm after you have stopped these exercises, re-introduce them until this has eased. Sit with your arms down by your sides. 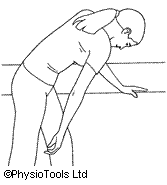 Gently move your shoulder blades forwards and backwards, keeping your arms down by your side. 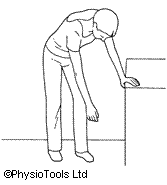 Stand leaning on a table with your unaffected arm. Let the arm, on the side which your surgery was performed hang relaxed straight down. Swing this across your body to your left and then to your right. 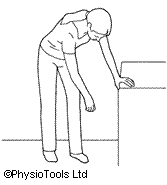 Stand leaning on a table with your unaffected arm. Let the arm, on the side which your surgery was performed hang relaxed straight down. Swing this as if drawing a circle on the floor. Change direction. 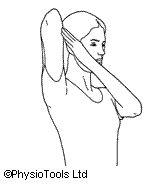 Stand or sit with the elbow of the arm, on the side which your surgery was performed, supported by your unaffected arm. 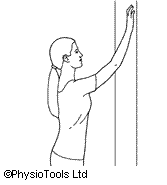 Lift your elbow upwards towards the ceiling, assisting the movement with your other hand. Do not let your elbow go above your shoulder. 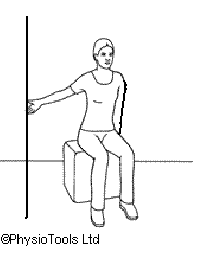 Stand or sit with the forearm of the arm, on the side which your surgery was performed, supported by your unaffected arm. 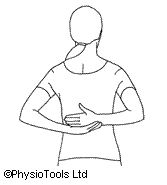 Lift your elbow outwards to the side, assisting the movement with your other hand. Sit or stand with arms behind your back, slide the arm, on the side which your surgery was performed up your back as far as possible. You can use your unaffected arm to help if necessary.